The act of death itself and the rituals surrounding it vary enormously and shed a fascinating light on the cultures of which they are a part. 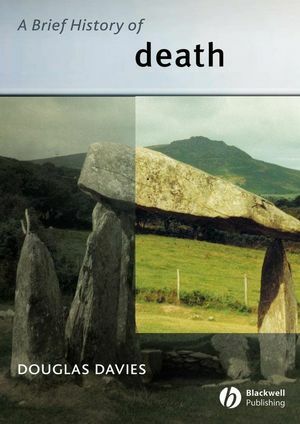 In this brief and lively history, Douglas Davies – internationally acknowledged as one of the leading experts in this field – tackles some of the most significant aspects of death and weaves them into a compelling story about our changing attitudes to dying. Douglas J. Davies is a Professor in the Department of Theology at Durham University. He is widely acknowledged as one of the world's leading experts in the history, theology and sociology of death. His books include: Anthropology and Theology (2002); Death, Ritual and Belief, Second edition (2001); Themes and Issues in Christianity (1998); Transforming Mormon Identities (1998); Reusing Old Graves (1995); and Church and Religion in Rural England (1991). He has also published a large number of articles on death, and contemporary Christianity. Adulthood--Childhood, Maturity and Death of Parents. 4 Ecology, Death and Hope. Criminals, Heretics, Bodies and Belief. Ethics and Spirituality at Large. 5 Art, Literature and Music. The Dynamics of Memorial Sites. Locating Hope: the Dynamics of Memorial Sites. How to Speak of the Dead?. Location 1: Graveyard and Cemetery. Hope 1: Eternal, Eschatological Form of Identity. Location 2: Cremation and Remains. Hope 2: Internal, the Retrospective Fulfilment of Identity. Hope 3: Natural, the Ecological Fulfilment of Identity. Albert Schweitzer and C. S. Lewis. Psychology and Fear of Death. 8 Purposeful and Useless Death.